The rail company later confirmed that about 1,000 gallons of crude oil spilled after one of the tank cars was punctured in the accident. A total of 13 cars have derailed, Canadian Pacific added. Earlier, a spokesperson for the railroad, Andy Cummings, told 27 News that the train derailed around 2 pm local time, adding that some of the oil was leaking. At least thirty-five Watertown residents have been evacuated from the area, Watertown officials said. The company said it has reserved hotel rooms for the families that have had to evacuate. The residents won’t be allowed back to their homes until at least Monday. Nearby Dodge County and Jefferson County emergency crews are helping out the Watertown Police Department at the scene. Canadian Pacific officials were conducting repairs in the same area the derailment occurred just several days ago, according to activist Sarah Zarling from the Citizens Acting for Rail Safety (CARS) group in Watertown. “Just had the alarming recall that this derailment happened right where Canadian Pacific crews had been working just days ago. These were pictures I took of them working in the No Trespassing Canadian Pacific property area,” the activist posted on the group’s page. “I live less than a block from the tracks in a blast zone, and let me tell you it’s not too comforting knowing you’re living in a blast zone. You never know when or where a derailment will happen. I don’t want to be one of those 47 people who blow up and die,” Zarling told FOX6 News. There are currently no fires or injuries being reported. Canadian Pacific said it has dispatched teams to the site. This is the second freight train derailment in two days in the Midwestern state of Wisconsin. 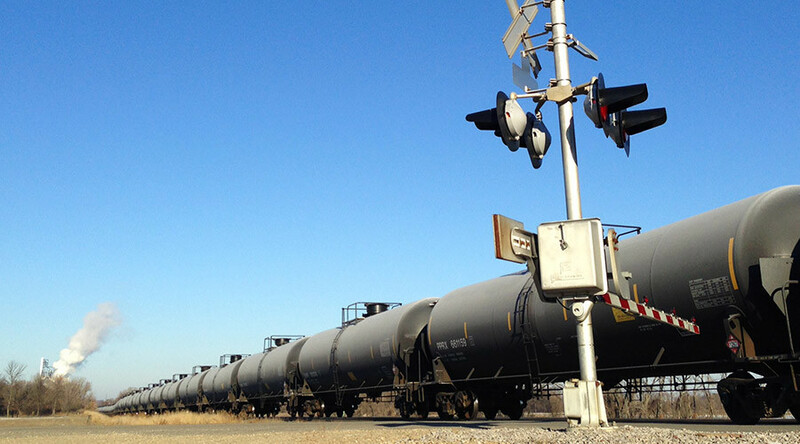 Less than 24 hours ago, a freight train derailed near Alma, Wisconsin, spilling thousands of gallons of ethanol.